ABOUT SANDAHOLM RESTAURANT & CAMPING! Sandaholm Restaurant & Camping ground is situated in the south west part of the province of Värmland not far from the town Årjäng, nearby the border Sweden / Norway and easily accessible from the E18. Canoeing, walking, fishing or playing golf. Sandaholm is the perfect place to start all your activities. Nearby is the natural reserve Glaskogen known for its beautiful canoe- and walking trips but also famous for its inhabitants like eagles, moose, lynx, wolves and beavers. If you like nature this is the place to be! The campsite is owned by a Dutch couple. 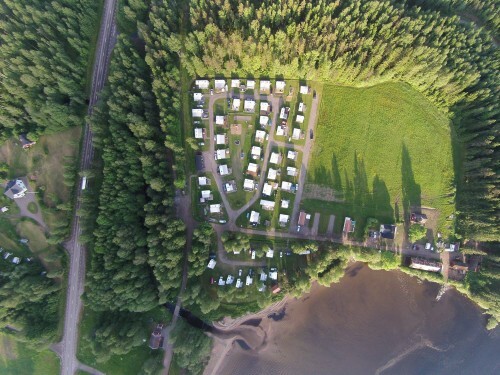 The campsite is an ideal base for families with younger children and the active 50+. On our campsite you must be in possession of the Camping Key Europe. From April 1, 2019, our campsite opens for a new season! Always dreamed of a holidayhome in Sweden? Sandaholm is the perfect place to start all your activities. IF YOU WOULD LIKE MORE INFORMATION ABOUT SANDAHOLM RESTAURANG & CAMPING, PLEASE USE OUR CONTACT FORM OR GIVE US A CALL.